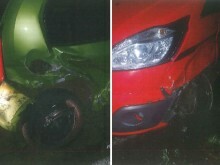 A serial drink-driver who reversed into a police car spent Christmas behind bars. 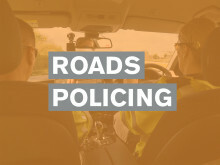 Police stopped a grey Opel Astra in Vinnetrow Road, Chichester, following a report from a concerned member of the public around 6pm on Saturday 8 December. As one of the officers approached the car from behind, it reversed into the police vehicle, causing minimal damage. The keys were removed from the ignition and the motorist was removed from his car – he was identified as Piotr Rewicki, a packer, of Essex Road, Bognor Regis. The 60-year-old was taken into custody where he gave an initial breath test sample almost four times the legal limit of 35mcg of alcohol per 100ml of breath. He then failed, following numerous attempts, to provide a second sample which is required by law. Following a search of his vehicle, police discovered three throwing knives and a set of nunchakus on the rear seat. A search of his record revealed Rewicki was already disqualified from driving until 2021 – he has two previous convictions for drink-driving and three previous convictions for driving while disqualified. 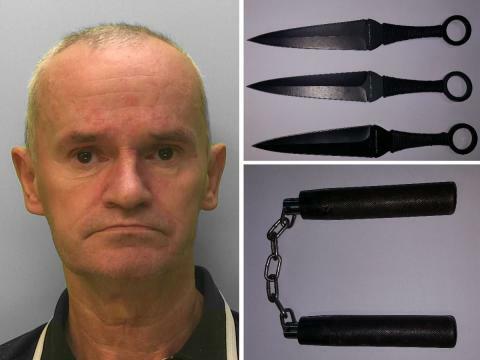 Two counts of possessing an offensive weapon (three throwing knives and a set of nunchakus). He was remanded in custody to appear at Crawley Magistrates’ Court on Monday 10 December, where he was jailed for a total of 18 weeks. He was also disqualified from driving for 54 months from the date of his release, and ordered to pay a £115 victim surcharge. Rewicki is among more than 100 people arrested in Sussex as part of Surrey and Sussex Police’s Christmas crackdown on drink and drug-drivers. Bradley Pickett, 23, a mechanic, of Chiddingly Close, Brighton, was arrested in Lower Rock Gardens, Brighton, on 1 December, and charged with driving with 47mcg of alcohol per 100ml of breath in his system, driving with no insurance, driving with no licence and possession of cannabis. At Brighton Magistrates’ Court on 20 December, he was disqualified from driving for 36 months. He was also ordered to pay a £506 fine, £85 costs and a £30 victim surcharge. Jamie Hanson, 24, an electrical wholesaler, of Elm Tree Close, Bognor Regis, was arrested in Highcroft Crescent, Bognor Regis, on 1 December and charged with driving with 49mcg of alcohol per 100ml of breath in his system. At Worthing Magistrates’ Court on 18 December, he was disqualified from driving for 14 months. He was also ordered to pay a £500 fine, £85 costs and a £50 victim surcharge. Manzambi Adoph, 34, a cleaner, of Burstead Close, Brighton, was arrested in Carden Avenue, Brighton, on 2 December, and charged with driving with 44mcg of alcohol per 100ml of breath in his system. At Brighton Magistrates’ Court on 20 December, he was disqualified from driving for 12 months. He was also ordered to pay a £230 fine, £85 costs and a £30 victim surcharge. Alastair Johnston, 68, retired, of Springfield Road, Horsham, was arrested in Albion Way, Horsham, on 2 December, and charged with driving with 123mcg of alcohol per 100ml of breath in his system and failing to surrender to custody. At Crawley Magistrates’ Court on 20 December, he was disqualified from driving for 30 months and sentenced to a 12-month community order, requiring him to carry out 240 hours of unpaid work. He was also ordered to pay a £50 fine. Rachel Cooney, 40, an off-duty taxi driver, of Castle Road, Broadbridge Heath, was arrested in Five Oaks Road, Slinfold, on 2 December and charged with driving with 133mcg of alcohol per 100ml of breath in her system. At Crawley Magistrates’ Court on 18 December, she was disqualified from driving for 36 months and sentenced to a 12-month community order, requiring her to carry out 250 hours of unpaid work. She was also ordered to pay a £85 victim surcharge. Michael Mueller, 36, a painter, of Browning Road, Worthing, was arrested in Brighton Road, Shoreham, on 2 December and charged with driving with 157mcg of alcohol per 100ml of breath in his system. At Worthing Magistrates’ Court on 18 December, he was sentenced to 18 weeks’ imprisonment – suspended for 12 months – disqualified from driving for 36 months and ordered to carry out 200 hours of unpaid work. He was also ordered to pay £85 costs and a £115 victim surcharge. Robert Boylan, 41, a chef, of Hythe Close, Tunbridge Wells, Kent, was arrested on the A276 at Frant on 3 December, and charged with driving with 93mcg of alcohol per 100ml of breath in his system and driving with no insurance. At Brighton Magistrates’ Court on 20 December, he was disqualified from driving for 23 months and sentenced to a 12-month community order, requiring him to carry out 100 hours of unpaid work. He was also ordered to pay £85 costs and a £85 victim surcharge. Ashton Dyer, 48, a mechanic, of Elm Place, Rustington, was arrested in Elm Place, Rustington, on 7 December and charged with driving with 45mcg of alcohol per 100ml of breath in his system. At Worthing Magistrates’ Court on 21 December, he was disqualified from driving for 12 months. He was also ordered to pay a £431 fine, £85 costs and a £43 victim surcharge. Nicholas Hall, 44, a chef, of Craig Meadows, Ringmer, was arrested in Craig Meadows, Ringmer, on 7 December, and charged with driving with 110mcg of alcohol per 100ml of breath in his system. At Brighton Magistrates’ Court on 27 December, he was disqualified from driving for 23 months and sentenced to a 12-month community order. He was also ordered to pay £85 costs and a £85 victim surcharge. 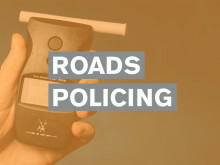 Richard Marriott, 36, a driver, of Torcross Close, Brighton, was arrested in Richmond Place, Brighton, on 8 December and charged with driving with 78mcg of alcohol per 100ml of breath in his system. At Brighton Magistrates’ Court on 27 December, he was disqualified from driving for 17 months. He was also ordered to pay a £120 fine, £85 costs and a £30 victim surcharge. Tracy Mackeddie, 51, a teacher, of Foxdown Road, Brighton, was arrested in Freshfield Road, Brighton, on 8 December and charged with driving with 86mcg of alcohol per 100ml of breath in her system. At Brighton Magistrates’ Court on 27 December, she was disqualified from driving for 17 months. She was also ordered to pay a £120 fine, £85 costs and a £30 victim surcharge. Adrian Danis, 28, a chef, of Southall Avenue, Brighton, was arrested in Old Shoreham Road, Brighton, on 12 December, and charged with driving with 66mcg of alcohol per 100ml of breath in his system and driving with no insurance. At Brighton Magistrates’ Court on 27 December, he was disqualified from driving for 17 months. He was also ordered to pay a £720 fine, £85 costs and a £36 victim surcharge. Lauryn Power, 63, unemployed, of Reef Way, Hailsham, was arrested in Vicarage Field, Hailsham, on 15 December, and charged with driving with 101mcg of alcohol per 100ml of breath in her system and driving while disqualified. At Hastings Magistrates’ Court on 21 December, she was sentenced to 12 weeks’ imprisonment – suspended for 14 months – and disqualified from driving for 36 months. Ella Pecko, 28, unemployed, of no fixed address, was arrested in Broyle Road, Worthing, on 15 December, and charged with failing to provide a specimen of breath when suspected of having driven a vehicle and driving with no insurance. At Crawley Magistrates’ Court on 17 December, she was disqualified from driving for 16 months. She was also ordered to pay a £200 fine, £85 costs and a £30 victim surcharge.